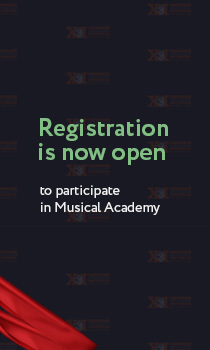 XII Winter International Arts Festival, artistic director Maestro Yuri Bashmet, will be held from 14 to 24 of February 2019 in Sochi. This annual festival has become a calling card of not only winter Sochi as a city which becomes main cultural center of country in this period, which gains world-known starts, more many tourists, international mass-media, which forms the trend to development of Russian and world’s culture. Since 2011, Winter International Arts Festival is the member of European Festivals Association (EFA) and now included in the top twenty of the best festivals in the world, occupying an important place in the cultural life of Europe. Since 2017 the festival has become a member of the international theatrical league "Silk Road" and became the first Russian festival included in this international organization. Nowadays the Festival in Sochi is rightly included in top-20 of the best festivals in the world, figuring prominently in Europe’s cultural life. Winter International Arts Festival in Sochi one of the shining examples of successful building in Russia world-wide arts space which already in 10 years got a confession in the global cultural community. We successfully implement the long-term concept of the development of the Sochi festival. It would be hard to name all the participants of Sochi forum who have performed on the Winter Theatre stage and Organ Hall of Sochi Philharmonic during ten years. Leading representatives of classical, jazz, variety and ethnic music; stars of world ballet, musical, operetta; famous dance, drama and experimental theatrical companies – since the first year of its existence Winter International Arts Festival in Sochi was positioned as a place outside the borders, where representatives of different types, genres and directions could perform. Special occasions of the festival during last 4 years have become musical productions which are created especially for the festival. It is in Sochi where productions of “Fantastic Carmen”, “Do not leave your planet”, “Fortunatissimo or hopelessly happy man” have been premiered. Now there are a number of productions that are preparing for being showed on the festivals in 2018 and 2019. In 2019, within the framework of the Festival is planned an extensive program of different activities with the participation of leading Russian and international artists and collectives. •	the School for Young Regional Journalists who write about culture; workshops of poetry and video art, photo school and much more. Within the frameworks of the Festival, in cooperation with the St. Petersburg International Cultural Forum, an international professional Conference for Russian and foreign heads of different cultural institutions, philharmonics, festivals, theatres and education institutions will be held. Winter International Arts Festival in Sochi is one of the great examples how a cultural project of a global scale can be made in Russia and for less than 10 years became acknowledged in a global cultural community.